This puppetry training is not about how to move a glove puppet or work a string marionette. Contemporary trends in visual theatre mean puppeteers want (and are asked) to bring anything and everything to life – everyday objects, dolls, branches, paper, clothes, parts of the human body, light … there is no limit to what can become a puppet. In the last few years, I have been asked to find the life in car parts, water and filing cabinets. One student even made a puppet out of smoke. There is no specific technique for learning to animate a twist of paper or an overcoat and whilst I believe the traditional techniques of glove, rod and string provide a solid foundation for all puppeteers – they certainly did for me – when I was first asked to teach I decided to find a technique that could be applied to any kind of puppet or object to bring it to life. I also wanted to address the key concerns of today’s puppeteers such as how to be visible yet neutral? What does it mean to listen to the puppet? How does an object breathe? How do three manipulators move together without detracting from the puppet? What can a puppet do to show what it is thinking and feeling? What are good manipulating positions that don’t produce backache? When does an object become a puppet? What is the difference between being a puppeteer and being an actor? Another reason for developing this training method is the current trend of learning through intensive short courses. The first time I was asked to run a two-week workshop I asked myself what could I seriously teach in ten days? What could I give people that would honestly be useful and not merely be an experience? This question set me off on a quest to find out how the art of puppeteering could be broken down into separate focusses and awarenesses that can be worked on separately, applied to any object, be taught as a short course yet also function as building blocks in a longer programme. The result is this set of puppeteering ‘tools’ – touch, breath, concentration, rhythm, impulse, and more – some of which train the body and mind of the puppeteer and others develop the puppet’s expressivity. It is my hope that mastering these tools will enable puppeteers to work with any kind of puppet, object or material, including the traditional techniques. The modular structure of this training allows it to be adapted to any length, from a few hours to a few months (or even years), and it can be taught as a workshop, integrated into an existing course programme, or accompany work on a specific project or professional production. 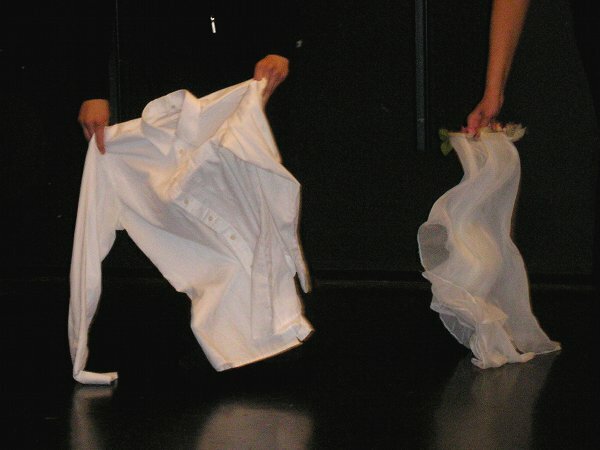 The courses, each with a core theme, are categorised under puppetry skills, using objects and devising performance. It is, however, possible to “mix-and-match” content according to needs and interest so if you are programming a workshop, please feel free to request a course that combines different subjects.